Imperial Star Destroyers: These huge ships were the main battleships of the Empire and most were torn to pieces by the time they came down on Jakku. The ones that landed top-down are pretty much demolished, but you'll find others sitting pretty much upright on the sand. So what if Snoke is still hiding on Jakku somewhere beneath the sand?????? @Darth_Awakened wrote: So what if Snoke is still hiding on Jakku somewhere beneath the sand?????? I don't know that I'd go that far, but I wouldn't be surprised if Snoke's physical location was Jakku. I also wouldn't be surprised if Rey was left on Jakku to either keep Snoke there in some way. Conversely, I wonder if Snoke was somehow drawing Force power or something from Rey while she was there...which would explain why she "awoke" when she got off the ground of Jakku and could also explain Snoke's more fragile appearance at the end of TFA. Rey is a curious case. we know that she was shown Ahch-to all her life so either vision sent by the Force or her own ability to see the future. And than, she awakened when the droid with the map to Ahch-to came to her and when Kylo was orbiting the planet (he briefly stepped on it as well). Her moment of awakening was his pull to the light. So I think that presence of the map lead to both. 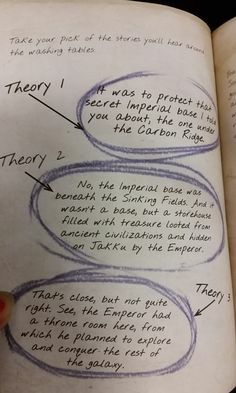 When Palpatine says "It was important 1000 years ago and will be again" it doesn't seem he talks about Jakku itself but about what's buried at the excavation site. However, Jakku is the planet closest to the Unknown Space aka where Palpatine believed the source of his power (DS) resided. Fingers crossed we get to see Unknown Space in IX which is described as a place that no one returned from due to space storms, electric nebulas, etc phenomena. Wow. Just wow. I need to re-read that book too. That sun/no sun thing is crazy. Is a sun a literal source of the light side or it just being used as a visual metaphor in both? At any rate, the repetition of the visual metaphor (the Kylo version being particularly extreme) is very interesting in and of itself. In the same universe, both would have the same meaning. It's interesting - Winter!Kylo is looking more and more likely. I'm still not sure I'm a fan of it as I like antagonists (even conflicted ones) who make their own choices. When I think of Kylo's beliefs being shattered by Rey, it doesn't fail to put a smile on my face. However, Manchurian/Winter!Kylo would mean there's no beliefs to shatter. It would mean he's not making his own decisions and in essence, his agency would be removed. It could be a mix of both though, which would be alright I guess. @IoJovi wrote: It's interesting - Winter!Kylo is looking more and more likely. I'm still not sure I'm a fan of it as I like antagonists (even conflicted ones) who make their own choices. When I think of Kylo's beliefs being shattered by Rey, it doesn't fail to put a smile on my face. However, Manchurian/Winter!Kylo would mean there's no beliefs to shatter. It would mean he's not making his own decisions and in essence, his agency would be removed. It could be a mix of both though, which would be alright I guess. Winter!Kylo is just still so odd to me based on Pablo's comments. Pablo has pretty much outright said (very bluntly) that everything bad that Kylo did is 100% on Kylo. That going dark side was his choice. There's really no other way to read those tweets. A winter soldier plot wouldn't reflect that. Manipulation maybe, but full on brainwashing? Doesn't fit, and I don't think it quite fits Kylo's characterization either. I don't hate it. I just don't see it. I also think it kind of lessens Han's death scene, and his forgiveness of his son even after such a terrible act. And how that forgiveness could influence Kylo in the future. All of that is kind of lost if Snoke took control of Kylo to make him do it. There stands Brentin. The light of the morning meets him through the window, and the doorway frames him in such a way - For a moment, he's her Brentin again. Boyish cheeks and wise eyes. A wry twist to his face. Hands stuffed in his pockets. Than the cloud passes in front of the sun, and a shadow movies into the room and then he's gone. Returned is the Brentin of now: he's thinner, his eyes are set back more, and hat try twist becomes a dark line. "I'm late" he says. And he is. "Yes you are. So is your son. have you seen him?" Brentin twitches at that - a fog seems to fall upon him. "I...no"
That was the morning after he shot his son. On the woman's face, an odd moment of clarity passes in front like a cloud clearing away from the sun. She says something, something that's hard to hear...something that might be "What have I done?" This is the attack Rax was planning. His fingerprints are all over it. How, she doesn't know. These rebels who returned from the prison have been...programmed in some way. Turned into traitors. Changed into killers. They've been questioning the former prisoners - the ones turned into assassins - and it's like they are lost, confused, or stonewalling. Almost like they don't realize what they did. Lots of sun/cloud references, turned into Traitors (TRAITOR! which we know was aimed at himself). I don't know. I think this is way big and intentional. @IoJovi I know you are interested in this too. Wasn't there some line in one of the novelizations about Kylo looking like he "stayed out of the sun"? Also, didn't AD have to stay pale for TFA? Further, wasn't there stuff in the novelization and/or script about how bad Kylo looked to Han, like his eyes were sunken and he looked drawn and underfed? I assumed that it was just a manifestation of the dark side immersion. I have always thought that there were negative mental effects associated with the dark side. So what if Kylo doesn't have a straight up implant like Brentin, but they are going to make the effects of the dark side more obvious ... and so Brentin's case serves as an analogy ... and maybe Kylo is like a Patty Heart/cult victim type ... not totally innocent, but impaired. What if all the lack of light stuff is a literal metaphor for just that, lack of the light ... and all the isolation, all this literally "buried underground where there is no light" kind of thing is Snoke's way of keeping him in the cult mindset. However, then the tantrums and the "calls to the light" would actually be Ben fighting the mindset ... so in that sense he would literally be "torn apart". AD played significant mood shift and "cultish" like behavior on the catwalk. It wouldn't be a straight up brainwashing, but it would be a he** of a metaphor for mental illness and intense manipulation. I mean, if I remember correctly, Brentin does put up a fight against the programming when it comes to his son. Kylo shows a lot of behavior that is not compliant with Snoke ... yet he still can't shake Snoke ... what if he really is in this kind of mental hellhole where something inside in telling him one thing, but the cult/the voice of Snoke/things that he has been made to believe (like maybe he believes that his family and the Republic really did betray him) and he is in a constant struggle to tell what's what. AD showed a pretty good nervous breakdown in the Snow Fight. I think it's possible that Kylo/Ben really doesn't know what end is up because of combination of guilt/torture/lies/feelings of betrayal based in incidents both fact and fiction (but which he believes are fact). The dude needs clarity. He himself may even think he murdered everyone at the Jedi Temple ... but what if he didn't ... and that's what Rey tells him. 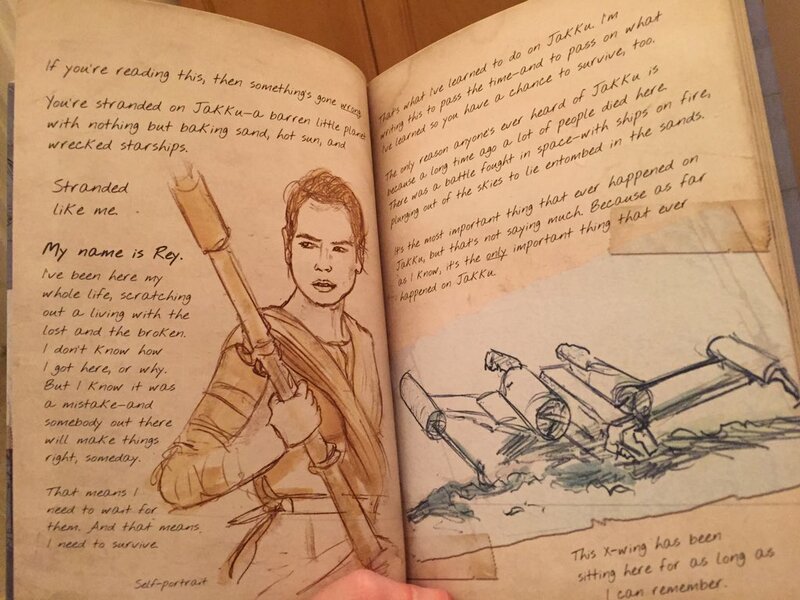 What if Rey is chosen by the force to give clarity where there has been none for any member of the Skywalker family? I agree with @ISeeAnIsland. I think Rey might be the one with the bombshell on the cliffside on Ach-to. This will be how she "brings back one who still can be brought back" (paraphrase of Maz). This also would be the perfect set-up for the "tortured antihero" that PH let slip. If he was full-own brainwashed at all times, then he would be a pure victim and a good guy. But if he is Patty Hearst, he will be highly sympathetic and a lot of people will love him like crazy, but he would still have baggage, because he still would have made some bad decisions, he would still have blood on his hands, he still didn't fight off the dark when someone else maybe would have been stronger. He would be shown to be capable of bad sith, and some people, like Rey, could forgive him, and could "get him", but other people, like Poe or Finn, might not be so magnanamous. However, because once he breaks of Snoke, he won't be a FO guy, but because of I imagine real betrayals having occurred, he won't be a Republic/Resistance guy either. He will truly be that rogue antihero that the good guys will have to work with sometimes, even though they don't like him. Also, I could see him being someone who might help sometimes, and sometimes he won't. Like @vaderito said, he will actually be a true antihero with teeth. If they continue with these characters after Episode IX, an antihero character like this would be pure gold. Wait, I just had an insane stream of thoughts after reading this thread and then the PH tweets of today. PH said in the tweets that the Force is life. Therefore, the Force is a product of nature ... It is nature. What is also natural? A sun. Also remember that early versions of Jedi Killer was supposed to "eat star material". Further, SKB harnessed the sun. Also, remember in Bloodline that Leia could not reach Luke and Ben because of radiation .... what if that radiation ... that light from the sun is protective in some way and/or a source of power? Also, think about what PH just said about the force ... that it was "connectivity" ... that leaders are using the force to sway people to good or bad. Basically he is saying that everyone is connected to this "connectivity". As such, that could explain some of the crazy things in Aftermath like the Acolytes of the Beyond, the Tie fighters suicide bombing and maybe even Rax ... someone/something has so much power that they can tap into that "connectivity" and sway people for bad on such a global scale. Throughout Aftermath I felt like there was this miasma of darkness infecting people here and there. What if some are more vulnerable than others? What if Greer's bloodburn is a physical effect some people get to this sensitivity? I know I am all over the place here, but there is something there with radiation/light and power ... and sun material and power. I mean what if eating the star material idea never really went away ... what if it morphed into something else? PH almost describes the force like ... I don't know ... a matrix (for lack of better phrasing) that everyone is a part of ... and that some can *really tap into it* to the point where they can sway others? And what if this sun thing ... this knowledge comes from the Unknown Regions? @SoloSideCousin wrote: Wait, I just had an insane stream of thoughts after reading this thread and then the PH tweets of today. PH said in the tweets that the Force is life. Therefore, the Force is a product of nature ... It is nature. What is also natural? A sun. Also remember that early versions of Jedi Killer was supposed to "eat star material". Further, SKB harnessed the sun. Also, remember in Bloodline that Leia could not reach Luke and Ben because of radiation .... what if that radiation ... that light from the sun is protective in some way and/or a source of power? Also, think about what PH just said about the force ... that it was "connectivity" ... that leaders are using the force to sway people to good or bad. Basically he is saying that everyone is connected to this "connectivity". As such, that could explain some of the crazy things in Aftermath like the Acolytes of the Beyond, the Tie fighters suicide bombing and maybe even Rax ... someone/something has so much power that they can tap into that "connectivity" and sway people for bad on such a global scale. Throughout Aftermath I felt like there was this miasma of darkness infecting people here and there. What if some are more vulnerable than others? What if Greer's bloodburn is a physical effect some people get to this sensitivity? I know I am all over the place here, but there is something there with radiation/light and power ... and sun material and power. I mean what if eating the star material idea never really went away ... what if it morphed into something else? PH almost describes the force like ... I don't know ... a matrix (for lack of better phrasing) that everyone is a part of ... and that some can *really tap into it* to the point where they can sway others? And what if this sun thing ... this knowledge comes from the Unknown Regions? Well in the EU, there was the Yuuzhan Vong - a group of religious fanatics who were somewhat immune to the Force and were able to create weapons and ships through organic, living things, as well as alter the personalities of their enemies (poor Tahiri Veila). I doubt they're connected to this, but they were the reason why people never returned from the Unknown Regions in the EU. And ships... torture devices... diseases... you name it. Diseases? Mental and physical? Holy Sith if that's true! Could bloodburn be the physical one and Ben's "madness" be the mental one? Maybe. Mara Jade was infected by a bio-engineered one known as coomb spores. She and a few others were meant to be test subjects and she was the only one to survive. It broke down an infected person's molecular structure and while Mara was temporary healed by various things, it took the birth of her son to fully purge the disease from her body (the baby luckily wasn't infected). It would certainly be the physical disease. You could argue that the mental disease was the altering of Tahiri Veila's personality and making her believe she was and always had been one of the Vong, yet parts of her old personality would resurface, causing a mental battle within her. So there could be similarities if bloodburn and Ben's "madness" were in the new canon. On a side note, a friend threw a State Admissions Day party last night (the Bear Flag Republic only lasted for 90 days after the overthrow of the Mexican governor because gold was discovered & the US rushed to get it as a territory) and her costume was Patty Hearst. So part of me thought of poor Kylo Ren (there was also the group who came dressed as the Manson family, so maybe that's Dark Luke and his acolytes). I fully expect that Ben's birth will be dramatic. You never set up a baby arrival for smooth sail in movies and fiction. Though, who knows, maybe he won't be born in Empire's End yet. Ahhhhhh yeahhhhhh! I can't wait for this!